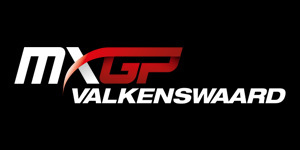 Valkenswaard (The Nederlands), 19 February 2016 – GP Valkenswaard has exciting news. Also this year we welcome HSF Logistics as our partner. HSF Logistics agreed to support the round of the world and European championship motocross at Valkenswaard in 2016. HSF Logistics is the leading expert when it comes to refrigerated food logistics and the resulting services such as sophisticated distribution, (cold) storage and cross docking facilities, packaging management and packaging cleaning. We are able to offer a complete package covering all aspects of the logistics chain. The care for the final product of our customers is where our logistic services begin. HSF Logistics has its own motocross team with riders in the world and European championship. The team has a wonderful reputation, as well as a spectaculair appearance, in the paddock.